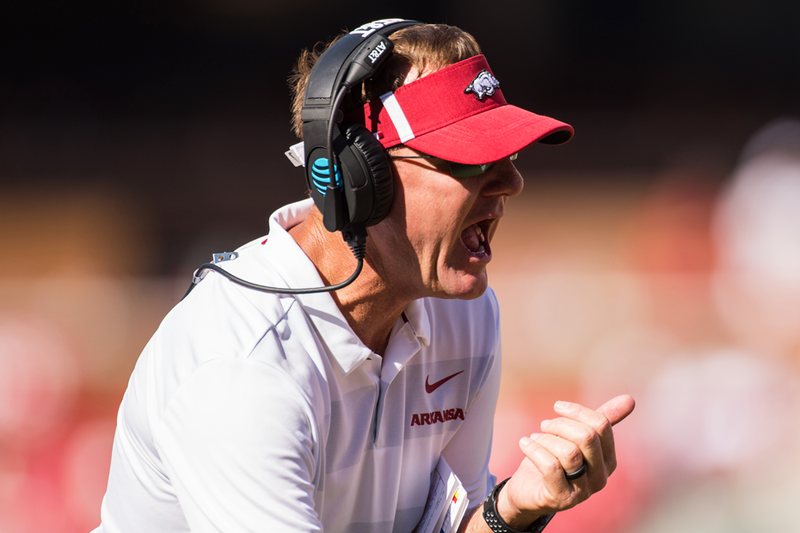 This season is going to be a year of firsts for Chad Morris as the Arkansas Razorbacks’ head football coach. Every week will bring a new first in some form or fashion. The easy first for this week is that it’s the Razorbacks’ first road game under Morris when Arkansas (1-0) visits Colorado State (0-2) at Fort Collins for a 6:30 p.m contest Saturday that will be televised by CBS Sports Net (Channel 2133 on Cox Cable). With it being the first road game under Morris, there might be some concerns, particularly with the higher altitude. If Morris had never been a head coach before, I might be a bit worried how he and his staff would handle a road game, but he had three years as a head coach at SMU to work out the kind of routine he likes. So, it’s not really a concern. As for the altitude, Morris, his staff, and players have talked hydration all week as being the answer. As a fan, you just have to trust the coaching and training staff know their stuff and have faith the proper steps have been taken to mitigate the difference. What generally makes road games daunting is the opponent. If the Hogs were headed to Death Valley to play LSU or for that matter the other Death Valley to play Clemson or to Tuscaloosa, Ala. or even Oxford, Miss., then there certainly would be concern about the opponent. No matter how good a coach Mike Bobo is and how well respected he may be among Arkansas’ staff, his Rams are lacking this year, or at least they have been in losses to Hawaii (43-34) and Colorado (45-13). 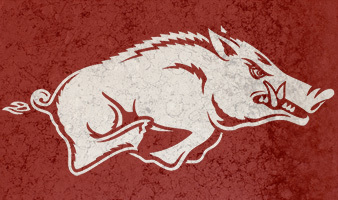 The Hogs should be a more talented team. The Razorbacks were initially 13.5-point favorites in the game, but it certainly wasn’t on the strength of their 55-20 victory over Eastern Illinois in which Arkansas dominated the scoreboard more than it dominated the line of scrimmage. The Rams have not played well this season on defense, and while playing a Mountain West opponent is a tremendous step up in talent from Eastern Illinois, Colorado State hasn’t been the primary worry of Arkansas’ coaches and players this week. Morris is of the opinion that if he gets his Razorbacks operating at their peak, then the rest will take care of itself, at least against Colorado State. That doesn’t mean that his staff hasn’t scouted the Rams properly or built a game plan tailored to attack Colorado State’s weaknesses. No doubt they have. It just means the Razorbacks did not perform up to the standards he believes they could have in their season opener. While every position group and every player have aspects of their play they need to improve on, the two most distressing and alarming issues came in the Hogs’ running and punting game. The punting has to improve or the Razorback probably will not be able to win an SEC game. It’s really that simple. You can’t give an average SEC team the type of field position a 29-yard punting average yields and expect to win. Had the defense not forced six and recovered five fumbles, including one for a touchdown, last Saturday’s game would not have evolved into the blowout it did. While defensive coordinator John “Chief” Chavis schools his players on gang-tackling and ball-stripping and punching techniques, Arkansas can’t count on future opponents being so generous. Consistency with the punters is the key. Morris has said they are capable, so maybe the flubs can be written off to first-game jitters? I hope so. However, Arkansas’ lack of efficiency in the running game is more troubling since Eastern Illinois is likely the worst team the Razorbacks will play all year. Having a stalemate against an opponent like that is alarming. It is a continuation from the struggles the Razorbacks had in Bret Bielema’s final two seasons. If a team can’t run the ball, it makes it even more difficult to pass. It also hinders a team’s ability to protect a lead and to put away an opponent. Running the football and stopping the run will always be keys to gridiron success. Morris said the offensive line played too high in the trenches and just weren’t physical enough. He wants more push, and he wants to see his lineman get to the second level to block linebackers to open up explosive plays. Starting right guard Johnny Gibson said fans should expect to see some improvement in the running game this week as the Hogs payed special attention to their technique, footwork, and pad level, but added that patience is needed. Offensive coordinator Joe Craddock said the Hogs had goals of at least four explosive plays (15 or more yards) from the running game last week, and it is doubtful he will adjust that number down. It will be interesting to see if the Hogs hit that goal or perhaps exceed it against Colorado State. The Razorbacks’ efficiency on first and third down wasn’t what Craddock likes to see and those numbers can be traced back to poor execution in the running game in this and most instances. Injuries are an issue on the offensive line with Arkansas now working with its fourth left tackle in freshman Noah Gatlin just two games into the season. Gatlin, Dalton Wagner, and first-game starter Shane Clenin – if he is healthy enough – will likely all work at the spot against Colorado State, Morris said, while the Razorbacks await the return of projected starter Colton Jackson, who is recovering from a back injury. Jackson’s healing is ahead of schedule, but the Hogs need to be wary of pushing him too fast. Converted defensive tackle Austin Capps or Ty Clary could start at left guard with first-game starter Kirby Adcock also still in the picture. I like that Morris and offensive line coach Dustin Fry aren’t just automatically standing pat with their personnel at left tackle and guard after Saturday’s showing. Morris has spoken about accountability, and after a poor showing last week, I like that he doesn’t mind shaking things up in hopes to prompt a better performance by whomever they choose to start. While I do believe the offensive line is the key issue with the running game, backs like Devwah Whaley, T.J. Hammonds, Rakeem Boyd, and Chase Hayden, must find daylight and run to it when their number is called. Though it was late in the game, I liked Maleek Williams’ be-your-own-blocker attitude. Morris’ offense isn’t about running behind a wedge like Bielema’s was. Slamming into the back of linemen and having them push the pile isn’t what this offense is about. It’s about finding space and exploiting it. Arkansas’ runners have to do a better job of finding space, but their backs, receivers, linemen, and quarterbacks have to do their part in creating space, too. Ultimately, winning the game is the point, and Morris and Craddock aren’t opposed to passing the Rams silly to accomplish it, but a true gauge on how much the Razorbacks improved this week will be comparing how much better the Hogs run the football against the Rams than they did against Eastern Illinois.